Camp descriptions are listed in alphabetical order by name within each age group. Barnyard Buddies Head over to the Zoo's barn and explore which animals call it home. Meet the goats, horses, rabbits and more! Learn what each animal eats and how they are cared for. NEW! Creatures Big & Small Big giraffes and tiny tenrecs, we will see it all! Explore how being small helps the ferret to wiggle through tight spaces or how the giraffe to reach the highest leaves. Campers will learn about the diversity of animals and how their differences help them in their natural habitats. NEW! Fantastically Fluffy & Furry Fluffy tigers, big bunnies, playful red pandas and soft servals are the stars of this camp! Get up-close and learn about these fluff-tastic furry friends. NEW! Funky Monkeys & Groovin’ Giraffes Put on your listening ears and dancing shoes it’s time for music in nature! Campers will learn about the sounds of the tiger and the movements of a monkey in this sound-based camp. After exploring a variety of animals, campers will have the chance to show off a few moves themselves! NEW! Monkey Tales Books come alive on this exploration of the Zoo. Campers will start each day with an animal related book and learn more about that animal by meeting them in real-life! Penguins Have Happy Feet Can you waddle like a penguin? Learn about the movement of penguins and other animals in this peng-tastic camp! Campers will get an inside look in how animals move through fun activities and animal interactions. NEW! Tigers, Giraffes & Monkeys, Oh My! Put on your exploring shoes and grab your hats, adventure is afoot. Explore a variety of animals that call the Zoo home, including some new friends! Campers will have the chance to feed a giraffe as well as learn what makes each individual animal special. Wake Up the Train Choo choo, it’s time to start chugging! Discover where the train sleeps at night, how it works and what it takes to keep the train, train-tastic! Along the way, campers will get the chance to see a variety of animals both big and small before we take our final train ride at the end of the day. Dino Dig Explore the world of the dinosaurs right here in your local, Lincoln Children’s Zoo! Discover what these prehistoric animals looked like, where they lived and what they ate. Campers will even get the chance to see some prehistoric animals that are still alive today. Dino Explorer Explore the world of the dinosaurs right here in your local, Lincoln Children’s Zoo! Discover what these prehistoric animals looked like, where they lived and what they ate. Campers will even get the chance to see some prehistoric animals that are still alive today. NEW! Dr. Zoolittle Grab your stethoscopes and put on your lab coats, it’s time to take care of the Zoos animals! Unfortunately, we cannot talk to animals; however, campers are taught basic veterinarian techniques from making healthy diets to performing wellness checks. NEW! Happy Hooves & Long Necks Stick your neck out with our new giraffe pals. Meet all the animals who wear hooves on their feet. Horses, llamas, camels and goats will join us on our journey too! We'll stomp our feet and swing our necks as we learn about all these furry friends. Littlest Zookeepers Grab your khaki, it’s time to be a zookeeper! Explore the Zoo with real-life keepers and get behind-the-scene looks at what it takes to care for exotic animals. Campers will even get the chance to adopt a Zoo animal to take care of for the week. Littlest Zookeeper Explorer Grab your khaki, it’s time to be a zookeeper! Explore the Zoo with real-life keepers and get behind-the-scene looks at what it takes to care for exotic animals. Campers will even get the chance to adopt a Zoo animal to take care of for the week. NEW! Monkey Around Who doesn't want to act like a monkey? Swing alongside our new spider monkeys on their funky monkey gym. We'll meet all the perfect primates from lovely lemurs to mini marmosets. NEW! Paws-itively Purr-fect This camp is paws-itively purr-fect for any feline lover! Learn about the different sounds, movements and behaviors of the Zoo’s many furry feline friends. What makes a sand cat different from a tiger? Penguin Plunge Can you make a penguin sound? Learn about all thing’s penguin in this peng-tastic camp! By looking at a variety of other animals and participating in fun activities, campers will get an inside look in what makes the penguin so unique. NEW! Playful Panda Builders Campers get your hard hats ready and blueprints out! Discover the homes of animals and what makes each habitat special here the Zoo. Streams for tigers, walkways for red pandas and room to fly for bats- this camp is all about Zoo building. Playful Penguin Explorer Can you waddle like a penguin? Learn about the movement of penguins and other animals in this peng-tastic camp! Campers will get an inside look in how animals move through fun activities and animal interactions. Playful Penguin Mini Explorer Can you waddle like a penguin? Learn about the movement of penguins and other animals in this peng-tastic camp! Campers will get an inside look in how animals move through fun activities and animal interactions. Sense-ational Animals Dive in and learn about the extraordinary hearing of a fennec fox, incredible sight of an owl or unbelievable smell of a tiger! This sense-based camp will offer campers a unique perspective on the sense’s animals use to survive in the wild. NEW! Shake Your Tiger Tails Put on your dancing shoes its time learn about the movement of animals in nature! Campers will learn about the swinging of monkeys, waddling of penguins, movements of giraffes and more in this movement-based camp. After exploring a variety of animals, campers will have the chance to show off a few moves themselves! Splashin’ Safari During this water-fari campers will get up close to the animals who love to splish-splash in water! Tigers, penguins, otters, flamingos and more are just a few of the water loving friends they will meet. This safari wouldn’t be complete without a stop by the Zoo’s splash stream. Tiny Trainers Paws up for a fun time! Learn how zookeepers train animals in order to perform health checks, encourage natural behaviors and more! Campers will meet real zookeepers and have the chance to pick a Critter Outpost animal to train for the week. Train Explorer All aboard! Explore what it takes to be the conductor of the train and how to keep this historic train in good maintenance. Take a ride and learn about animals along the way on this. Train Mini Explorer All aboard! Explore what it takes to be the conductor of the train and how to keep this historic train in good maintenance. Take a ride and learn about animals along the way on this. Wake Up the Train Toot toot, it’s time to start chugging! Discover where the train sleeps at night, how it works and what it takes to keep the train, train-tastic! Along the way, campers will get the chance to see a variety of animals both big and small before we take our final train ride at the end of the day. Zoo Action Heroes Grab your capes and put those super powers to the test! Campers will use their super sight, extraordinary hearing and rapid speed to save the Zoo’s animals from extinction. Ad-Vet-ure Vets Every day is an adventure when you are a zoo veterinarian. Find out what it's like to take care of the animals at the Zoo and the amazing work they do to help save animals from extinction. Animal Chef Put your chef hat on and grab a whisk, it’s time to get cooking! Campers will make snacks and meals for their favorite animals as well as some tasty treats for themselves to enjoy. Animal Chef Explorer Put your chef hat on and grab a whisk, it’s time to get cooking! Campers will make snacks and meals for their favorite animals as well as some tasty treats for themselves to enjoy. Animal Chef Mini Explorer Put your chef hat on and grab a whisk, it’s time to get cooking! Campers will make snacks and meals for their favorite animals as well as some tasty treats for themselves to enjoy. Animal Trainer Mini Explorer Paws up for a fun time! Learn how zookeepers train animals in order to perform health checks, encourage natural behaviors and more! Campers will meet real zookeepers and have the chance to pick a Critter Outpost animal to train for the week. NEW! Animal Scientists Did you know some animals make their own slime? What makes a wallaby jump so high? How do airplanes and birds fly? As scientists we'll tackle these questions and more! Through experiments and animal interactions we will uncover the scientific wonders of the world. NEW! Aquatic Avengers Explore the world of water loving animals! Campers will have the chance to get up and close to the animals who love to splish-splash in water! Tigers, penguins, otters, flamingos and more are just a few of the friends they will meet. This adventure wouldn’t be complete without a stop by the Zoo’s new splash stream. Critter Keepers Learn about what it takes to care for an animal! Campers will have chance to care for their own Zoo animal for the week. Find out how to care and feed for the Zoo’s many animals. Critter Keepers Mini Explorer Learn about what it takes to care for an animal! Campers will have chance to care for their own Zoo animal for the week. Find out how to care and feed for the Zoo’s many animals. Defenders of the Zooniverse Calling all superheroes! Get ready to meet some super animals that have incredible sight, amazing hearing and spectacular speed. Work together with these superhero animals to save the Zooniverse. NEW! GSI: Giraffe Species Investigators Exotic locations, daring discoveries and giraffes in disguise! Giraffe Species Investigators will travel across the Zoo to uncover how animals live in the wild. NEW! Guardians of the Giraffes Grab your capes, it’s time to be a superhero! Incredible sight, amazing hearing and spectacular speed are some important characteristics of the Zoo’s superheroes, do you have any of the same abilities? Work together with a variety of super animals to become Guardians of the Giraffes. NEW! Jungle Constructors Campers get your hard hats ready and blueprints out! Discover the homes of animals and what makes each habitat special here the Zoo. Jungles for monkeys, streams for tigers, walkways for red pandas and room to fly for bats - this camp is all about everything it takes to build a Zoo. Magical & Mythical Creatures Mysterious and mythical creatures are not just found in books and movies but often they have real life counterparts that are just as amazing! Venture to the Secret Jungle to uncover the mystery of animals and learn all about life in the jungle as well! NEW! Mysterious Monkeys of the Secret Jungle Mysterious and mythical creatures are not just found in books and movies but often they have real life counterparts that are just as amazing! Venture to the Secret Jungle to uncover the mystery of animals and learn all about life in the jungle as well! Paws, Claws & Jaws Some of the Zoo’s most exciting animals have claws, paws and jaws! Discover what they use them for and how they help them live in the wild. NEW! Reptile Rodeo If you love scales and slithers Reptile Rodeo is the way to go! Campers "adopt" a reptile in the Hive for a week. You'll learn what it takes to give your reptile a happy home. Zookeepers will introduce you to giant snakes, kooky crocodiles and happy Gila Monsters. Undercover Animals Grab your magnifying glass and explore the Zoo undercover animals that live here. Did you see that camouflaged tawny frogmouth? These campers will use their senses and logic to find hidden animals both big and small. Vet Explorer Grab your stethoscopes and white coats the Animal Care Center needs you! Vet Explorers are taught basic veterinarian techniques from making healthy diets to performing health checks. Vet Mini Explorer Grab your stethoscopes and white coats the Animal Care Center needs you! Vet Explorers are taught basic veterinarian techniques from making healthy diets to performing health checks. Wilderness Ranger Explorer The animal kingdom is all about survival. Learn what helps animals survive in the wild and learn some human survival skills too. Build shelters, paint your face with camouflage and forage for snacks in this survival themed camp. Wilderness Rangers The animal kingdom is all about survival. Learn what helps animals survive in the wild and learn some human survival skills too. Build shelters, paint your face with camouflage and forage for snacks in this survival themed camp. Wild West Wrangler Wanted: cowboys and cowgirls to saddle up and show the Zoo’s horses a rootin’ tootin’ good time. Wild West Wranglers will learn to brush, feed, saddle, walk and even ride the Zoo’s horses. Zookeeper Explorer Grab your khaki, it’s time to be a zookeeper! Explore the Zoo with real-life keepers and get behind-the-scene looks at what it takes to care for exotic animals. Campers will even get the chance to adopt a Zoo animal to take care of for the week. NEW! Animal Athletes Discover what it takes to run like a tiger, swing like a monkey and leap like a wallaby. 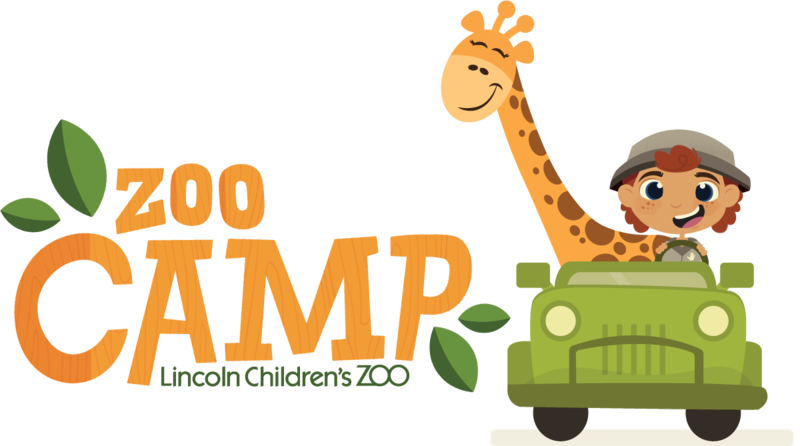 Campers will learn about a variety of animals at the Zoo and how they have adapted to living in their natural habitats through this health-centered camp. Animal Training 101 How do the ring-tailed lemurs and penguins know when it’s time to eat? Learn how zookeepers teach behaviors to animals to aid with husbandry. Campers will also have the chance to adopt an animal to train for the week, applying learned knowledge to real-life situations. Jr. Wrangler Wanted: cowboys and cowgirls to saddle up and show the Zoo’s horses a rootin’ tootin’ good time. Jr. Wranglers will learn to brush, feed, saddle, walk and even ride the Zoo’s horses. Jr. Vet Explorer Grab your stethoscopes and white coats the Animal Care Center needs you! Jr. Vets learn what it takes to keep animals healthy by performing health assessments and other hands-on vet procedures. Jr. Zookeeper Animals come from a variety of places all around the world. Get a behind-the-scenes look at the red panda, Matschie’s tree kangaroo, and the Southern three-banded armadillo as well as a variety of other animals here at the Zoo. Campers will learn about the uniqueness of caring for a variety of individual animals. Jr. Zoo Vet Grab your stethoscopes and white coats the Animal Care Center needs you! Jr. Vets learn what it takes to keep animals healthy by performing health assessments and other hands-on vet procedures. Wildlife Rescuers Join our team of Wildlife Rescuers here at the Zoo! Each day campers will learn how animals are saved in the wild and get to meet some of the Zoo’s rescued animals, including Apollo the bobcat, Liv the wallaby and Steve the alligator. Jr. Zoo Crew Jr. Zoo Crew is designed for children to sample Zoo Crew in a camp setting. Jr. Zoo Crew members will complete many of the same tasks as Zoo Crew, including assisting in husbandry of animals in The Hive, Critter Outpost and more, work with zookeepers to prepare animal diets, create enrichment, and go behind-the-scenes. NEW! Jr. Zoo Crew: Part II Jr. Zoo Crew is designed for children to sample Zoo Crew in a camp setting. Jr. Zoo Crew members will complete many of the same tasks as Zoo Crew, including assisting in husbandry of animals in The Hive, Critter Outpost and more, work with zookeepers to prepare animal diets, create enrichment, and go behind-the-scenes. Jr. Zoologist Zoologists are scientists who are animal experts! Campers will design habitats, create animal enrichment and track behavior of some of the Zoo’s most exciting animals. Jr. Zoo Vets Grab your stethoscopes and white coats the Animal Care Center needs you! Jr. Vets learn what it takes to keep animals healthy by performing health assessments and other hands-on vet procedures. Vet Explorer Grab your stethoscopes and white coats the Animal Care Center needs you! Jr. Vets learn what it takes to keep animals healthy by performing health assessments and other hands-on vet procedures. Zoologist Mini Explorer Zoologists are scientists who are animal experts! Campers will design habitats, create animal enrichment and track behavior of some of the Zoo’s most exciting animals. Zoo Vets Grab your stethoscopes and white coats the Animal Care Center needs you! Jr. Vets learn what it takes to keep animals healthy by performing health assessments and other hands-on vet procedures.